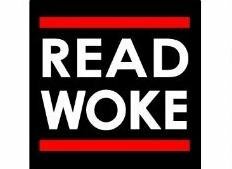 Lanier High School: Latest News - Read Woke Challenge - coming September 2018!!! Read Woke Challenge - coming September 2018!!! The Read Woke Challenge Is Coming! The library will kick off our latest school-wide reading challenge next September. What is a "Woke Book," you ask? More details will be announced next fall, but Ms Hersh is compiling a list of suggested titles from our library, in case you'd like to get a jump on reading any of them. Anyone with an Austin ISD email can view this list of Woke Books that will be available at the Lanier Library in the Fall. Or, check out your local public library this summer!